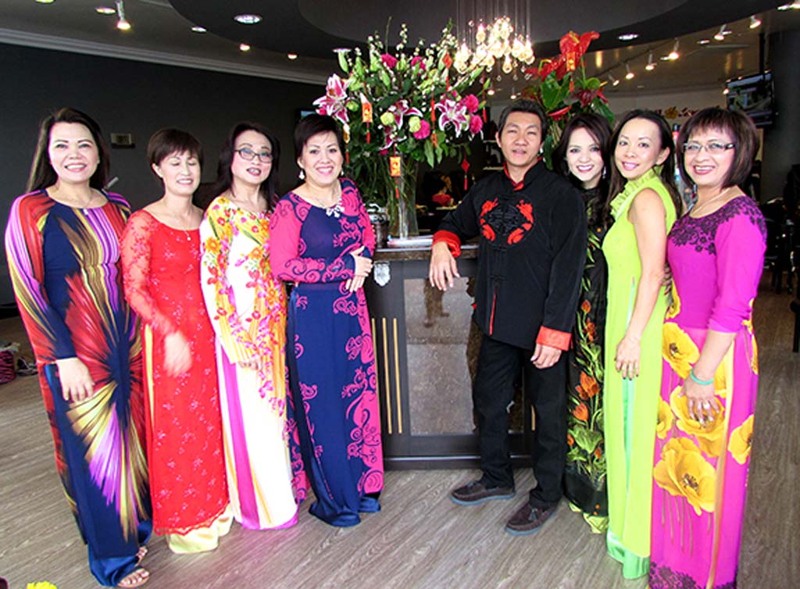 The staff at Nail-toepia in La Costa celebrated the Lunar New Year Feb. 20 in traditional Vietnamese gowns. Nail-toepia owners Tina Lai and Ryan Trang celebrate the year of the Ram in traditional Vietnamese outfits. The gowns are so delicate they must be hand-made, according to Lai.